A very small 4 player map designed for a fast start and quick reaction timed strategic map. 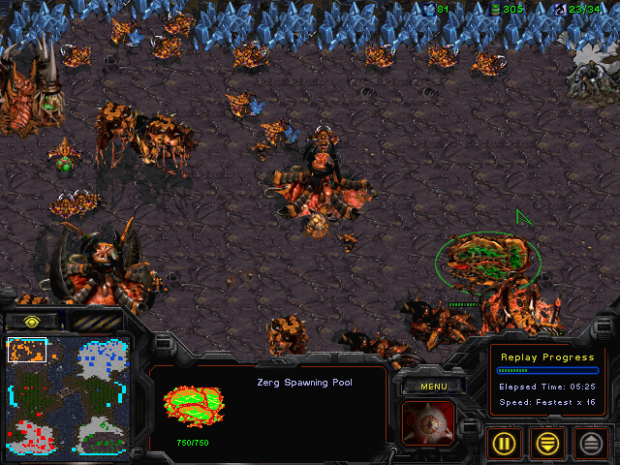 A 4 player starcraft 1 map made with 6 building spots designed for those that want a fast fast and easy finish map. Been a while since I played this map but from memory it is has infinite minerals so there is no way that you will run out of minerals even if gathering minerals from 1 section.